Property transactions can be both long-drawn-out and stressful. It may take weeks or even months to identify a suitable home or commercial property. Once you have done this and agreed to the commercial terms, it’s time to complete the conveyancing process. As buying or selling property is complex and involves several distinct stages, it is important that all the parties to the transaction follow the required procedure meticulously. At the end of the entire process, the buyer should obtain a marketable title to the land and the seller should receive the agreed upon price. However, anyone who’s ever been held up or delayed by an unforeseen issue or lost paperwork will tell you, that’s not always how it goes. Entering into a contract for the sale of land. The payment of the consideration and the exchange of documents. The registration of the transfer of the property onto the Register of Land Ownership maintained by Landgate, a statutory authority responsible for Western Australia’s property related matters. Until recently, conveyancing involved a great deal of paperwork, payment by cheque, and a long wait by all the parties involved. 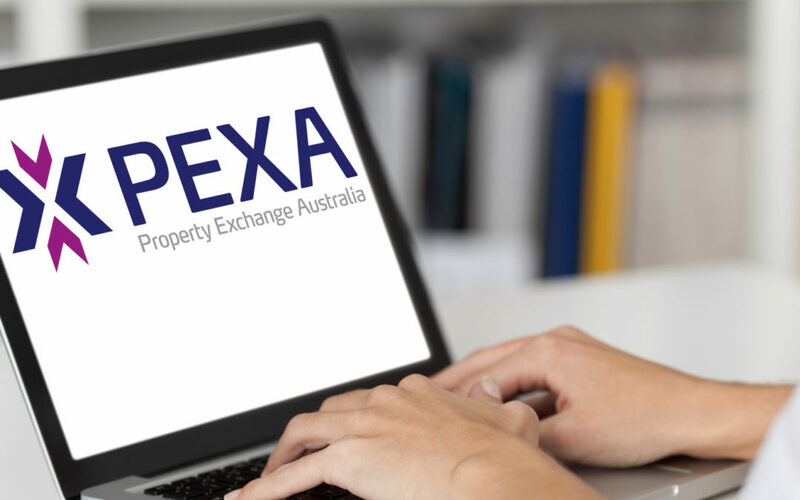 In fact, a report commissioned by Property Exchange Australia (PEXA) found that, one in three consumers complained or had issues with the paper based conveyancing process. They said that the procedure often got delayed and it led to the payment of additional costs. If the normal conveyancing procedure is followed, a buyer or seller may have traveled to another location in anticipation for the completion of the settlement. If there are delays, it could lead to finding appropriate accommodations for this and incurring the additional costs associated. 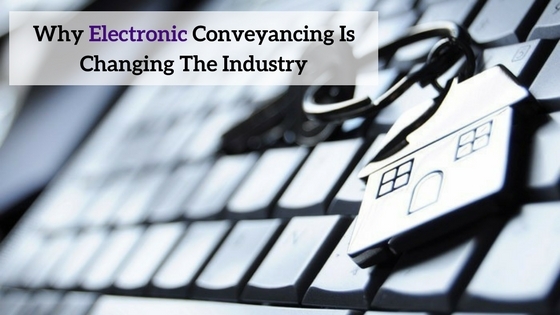 Electronic conveyancing provides a solution to these issues. 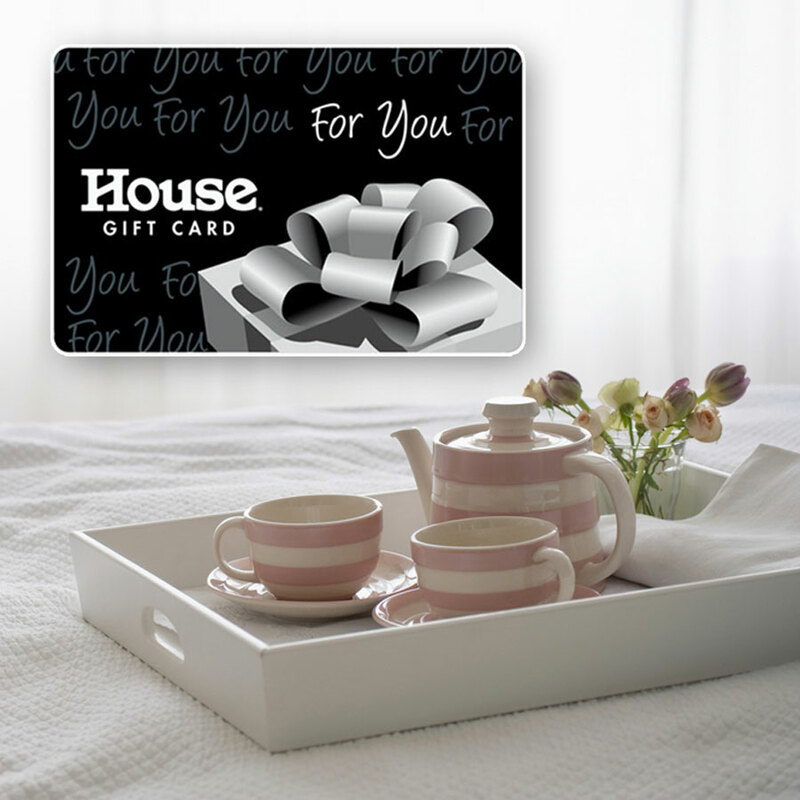 A property transaction could involve four parties. There would be a buyer and seller, each of which could be represented by a conveyancer. Additionally, there could be an incoming and outgoing lender of funds. Paperless, electronic conveyancing does away with the need to meet physically. The electronic conveyancing process does away with the need for these parties to meet physically. Instead, the transaction is settled electronically on the PEXA platform. Registry instruments are prepared and electronically signed. An electronic signature provides many advantages. It is highly secure as it is stored on an encrypted USB token and requires a unique pin to be used. It does away with the need for you to wait for documents to be signed as they are mailed from party to party. Digital signatures do not require all the parties to be present at the same place. This makes it highly convenient to use and also results in reducing costs. There are other advantages to electronic conveyancing as well. Buyers and sellers can download an app onto their smartphones and receive regular updates on the progress of the process. The ability to track the transaction in real time allows you to identify bottlenecks and take corrective action when it is needed. The chance of the settlement getting delayed is greatly reduced. It is also possible to transfer and receive funds much faster. Will electronic conveyancing be compulsory? 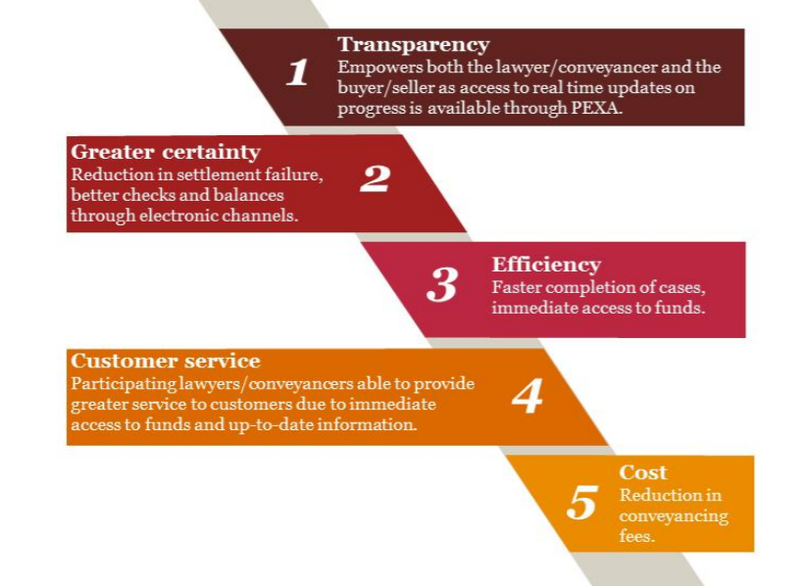 Over the last three years, there has been a shift away from the manual process towards electronic conveyancing. With effect from 1 December 2017, it will be compulsory to lodge all eligible mortgages, discharges of mortgages, and refinances electronically in Western Australia. From 1st of May 2018, the scope of electronic conveyancing will be expanded and an additional list of services will be digitized. These changes are expected to make the settlement process quicker and more orderly. It will also add a greater degree of transparency to land transfers and the other activities related to it. At KDD Conveyancing Perth Services, we’ve been behind this move towards electronic, paperless conveyancing from its inception. For more information on electronic conveyancing contact us on 9296 8717.